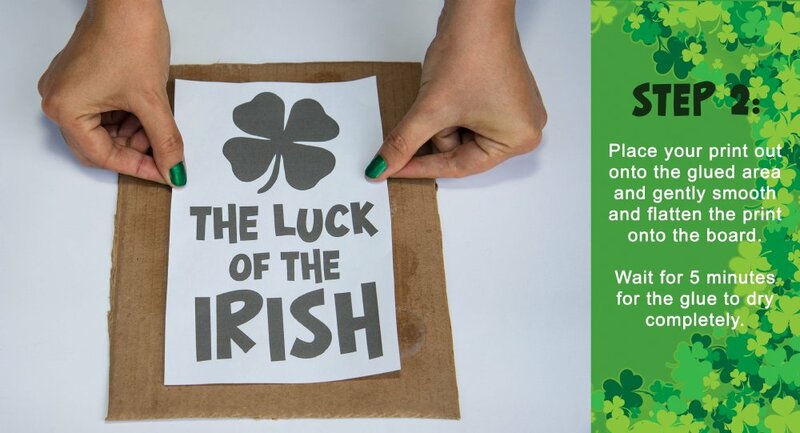 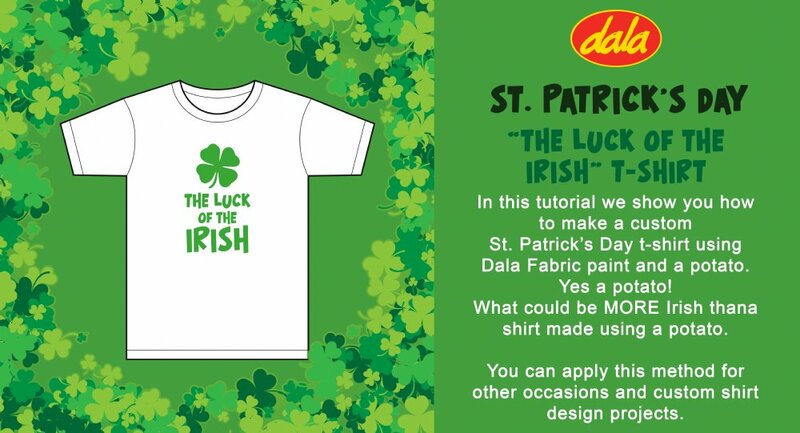 In this tutorial we show you how to make a custom St. Patricks Day t-shirt using Dala Fabric Spray. Of course you can use this method for other occasions and custom shirt design projects. 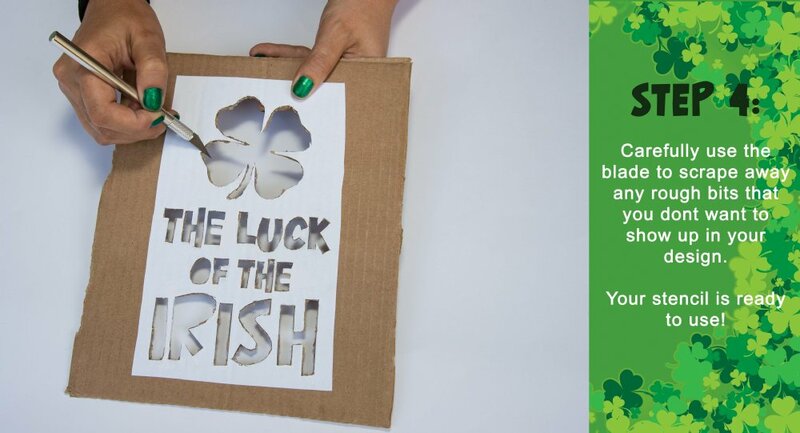 Cut the spare piece of cardbord and print outs to roughly the same size, and then spray a layer of Art Mount spray onto the cardboard, covering the area where your print out will be stuck down quite well. 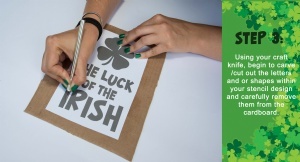 Place your print out onto the glued area and gently smooth and flatten the print onto the board. Wait for 5 minutes for the glue to dry completely. Using your craft knife, begin to carve /cut out the letters and or shapes within your stencil design and carefully remove them from the cardboard. 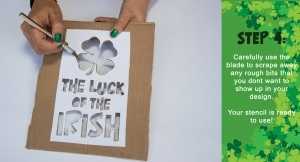 Carefully use the blade to scrape away any rough bits that you dont want to show up in your design. 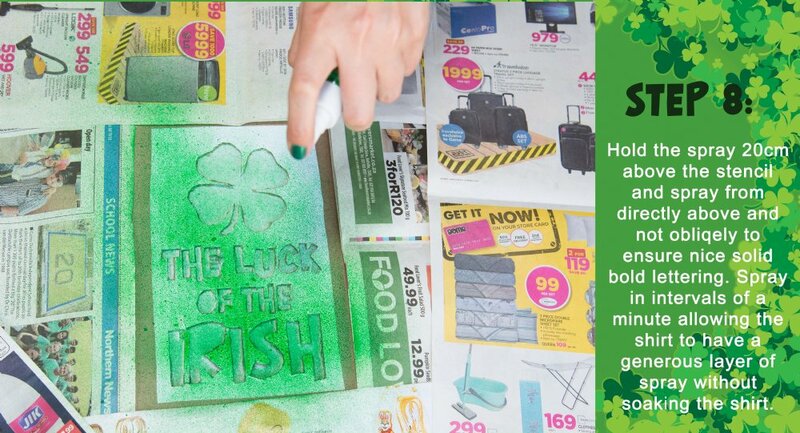 Your stencil is ready to use! 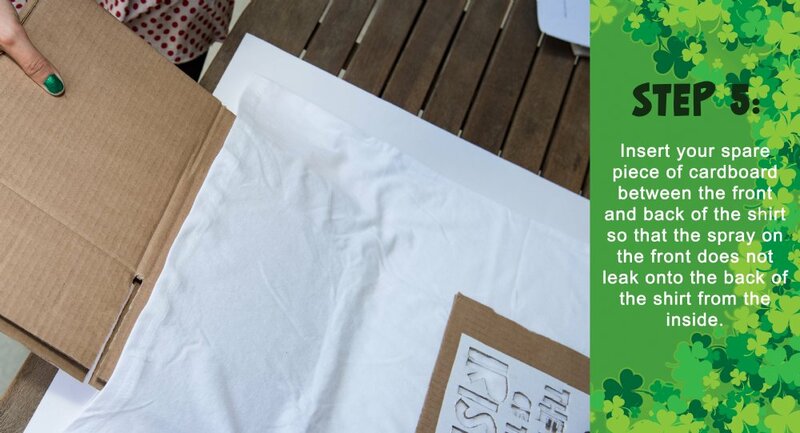 Insert your spare piece of cardboard between the front and back of the shirt so that the spray on the front does not leak onto the back of the shirt from the inside. Position the stencil where you would like it on the shirt. 5cm - 10cm down from the neckline is good. 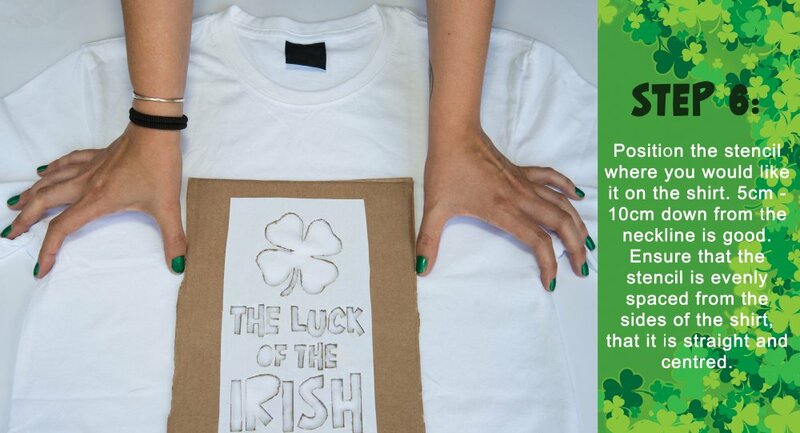 Ensure that the stencil is evenly spaced from the sides of the shirt, that it is straight and centred. 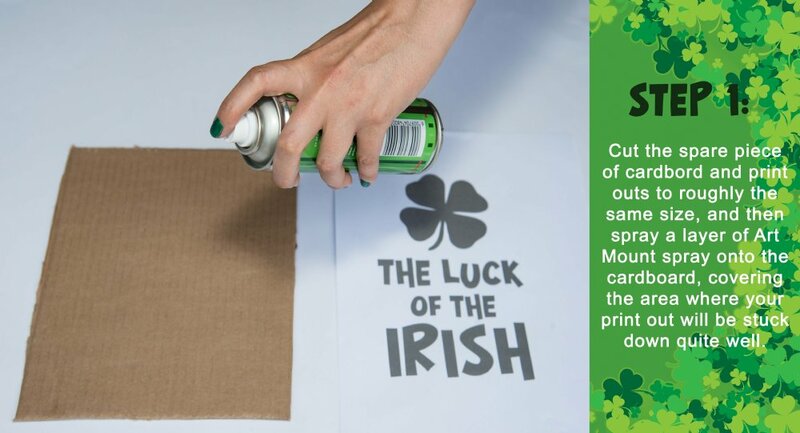 Cover the areas that you do not wish to be coloured by the spray such as the area around your stencil, the sleeves and neckline etc. 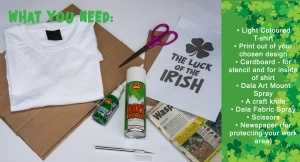 Alternatively you may wish not to cover any areas which will give your shirt that spray painted look. 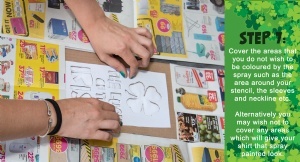 Hold the spray 20cm above the stencil and spray from directly above and not obliqely to ensure nice solid bold lettering. 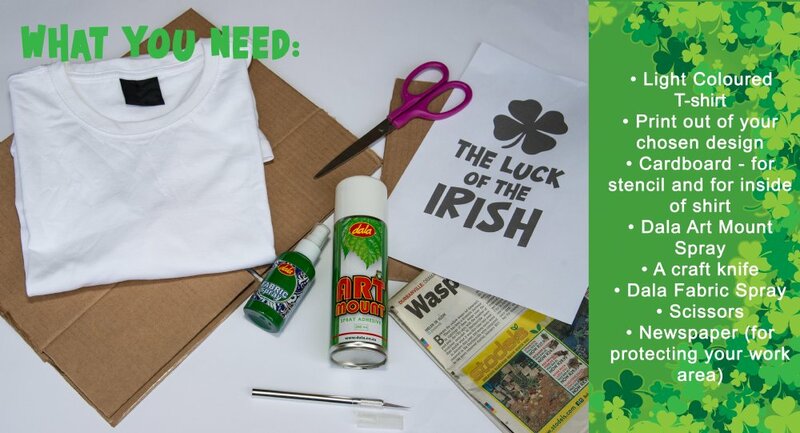 Spray in intervals of a minute allowing the shirt to have a generous layer of spray without soaking the shirt. 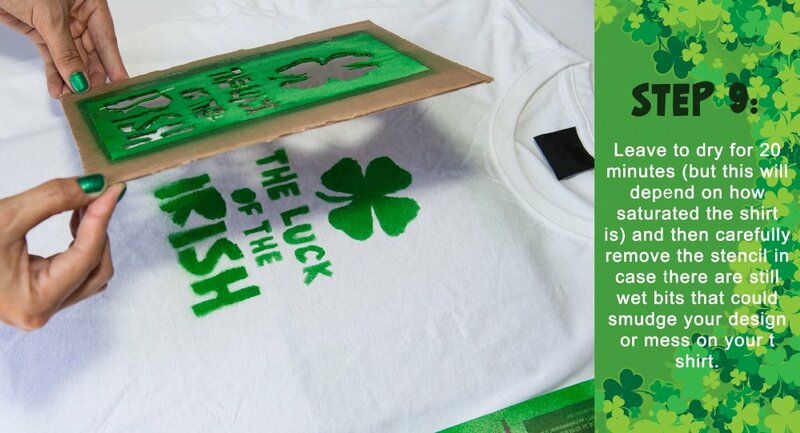 Leave to dry for 20 minutes (but this will depend on how saturated the shirt is) and then carefully remove the stencil in case there are still wet bits that could smudge your design or mess on your t shirt. Remove the inner piece of cardboard and heat set your design with a cool iron. 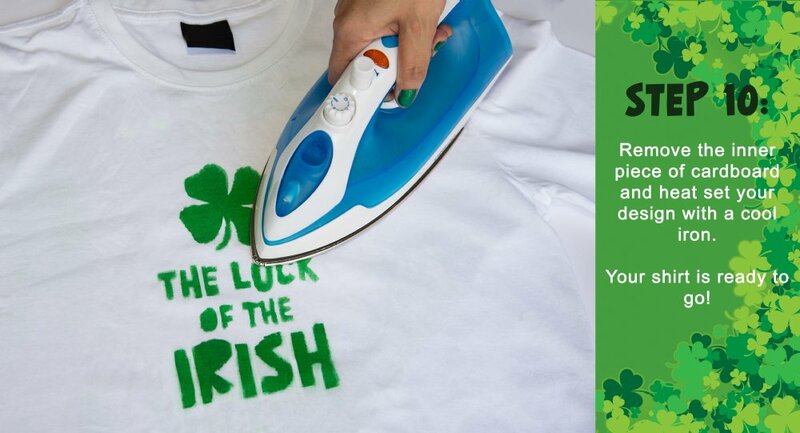 Your shirt is ready to go! 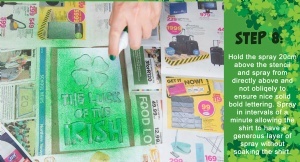 This item has 484 views.